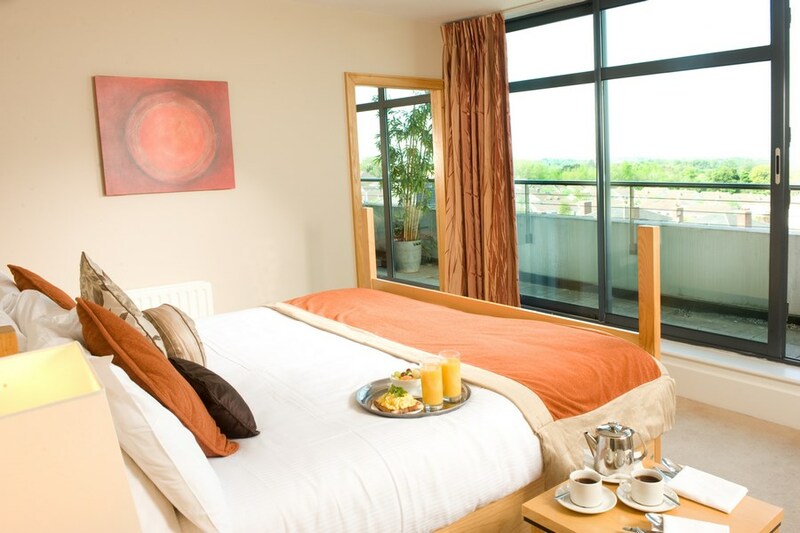 The Green Isle Hotel Dublin is located only a short distance from restaurants in Newlands Cross, shopping and entertainment. Why not avail of our free parking and take the Luas to the city centre Key shopping centres of Liffey Valley, Dundrum and Blanchardstown are no more than 15 mins drive. The 02 venue and the Aviva Stadium can both be reached within a 20 minute drive or alternatively via the Red Luas Line to Dublin City Centre. Punchestown Racecourse is a 25 minute drive from the hotel. The local Red Cow station provides a great place for Park & Ride to gain access to Dublin City Centre. 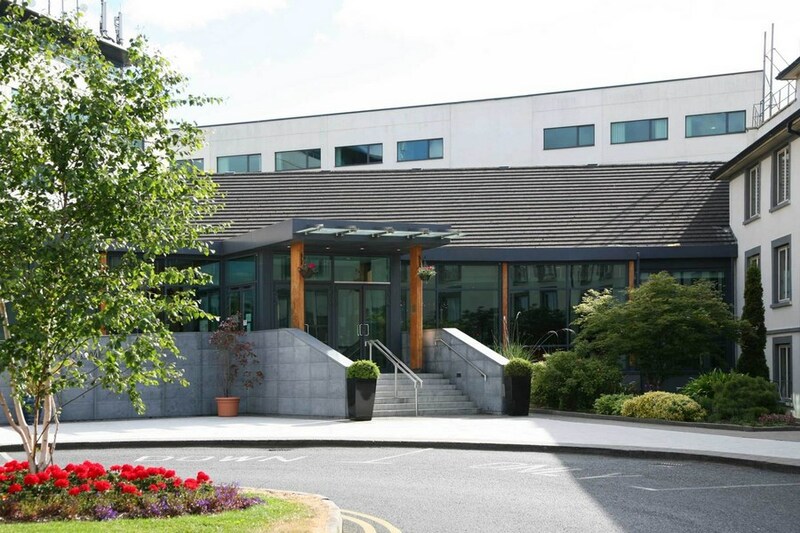 The hotel is located only 15-minute drive from Dublin Airport. Nice hotel, helpful staff . great breakfast . We had booked two rooms but only one available. Hotel was fully booked for the night so the second room allocated to us was obviously under maintenance and should not have been used. The heating was at its highest level and could not be lowered or turned off. Room was like a sauna.Made several complaints and again at checkout but nothing forthcoming from hotel as a token for our extreme discomfort. great. very pleased with the hotel. lovely staff, clean room. I stayed in the hotel Valentines weekend we had a horrible night ! Our room when smelled like somebody sprayed deodorant all over the curtains and bed sheets ! The meal was awful my girlfriend sent her starter back twice, we both barely touched our mains because the pasta was not cooked ! The room also had hair all over the floor , when we arrived we were given the wrong room also and moved to the room which smelled like someone sprayed everything in deodorant ! Staff at the bar during the night seemed to not want to help anyone they wear avoid serving people and cleaning glasses instead! Definitely would not recommend this hotel to anyone. We were very disappointed. Had a nice stay only downfall was no kids allowed in pool after 18:30 on a Saturday so was a bit disappointed as by the time we checked in and had lunch it was too late for kids to swim. Had Carvery and was served by a very friendly Dublin guy who chatted to all the customers as he served them and a girl called Danielle who couldn't do enough to assist people dining. Will be back. Clean and warm. Enjoyed our stay but was disappointed with the cleanliness of the room! The bed base was stained beyond what i would say is acceptable for any hotel and when my wife asked for an extra blanket it arrived with dried food stuck to it. Asked for another and poor man who brought it was mortified and very apologetic. Food was excellent as was the staff could not be more helpful. Would stay again if they took a bit of pride in the rooms! Very happy with booking , the hotel, the room and the food. The waitress Lisa was particularly nice. However when I got to reception to book in they only had a record of one room when I had booked two and when I was checking out they were going to charge me double. A lesson learned, in future I will print out my information and have it to hand. Food and staff were superb. The biggest letdown was the room. It was nice enough but the carpets and ceiling were stained. Recently stayed in the Green Isle Hotel for two nights with my wife and two children. The staff were pleasant and the rooms were clean and comfortable. Its a little outside the city but its only minutes from the N7 and the M50 which suited me perfectly. The dinner was great and the breakfast was a standard buffet. 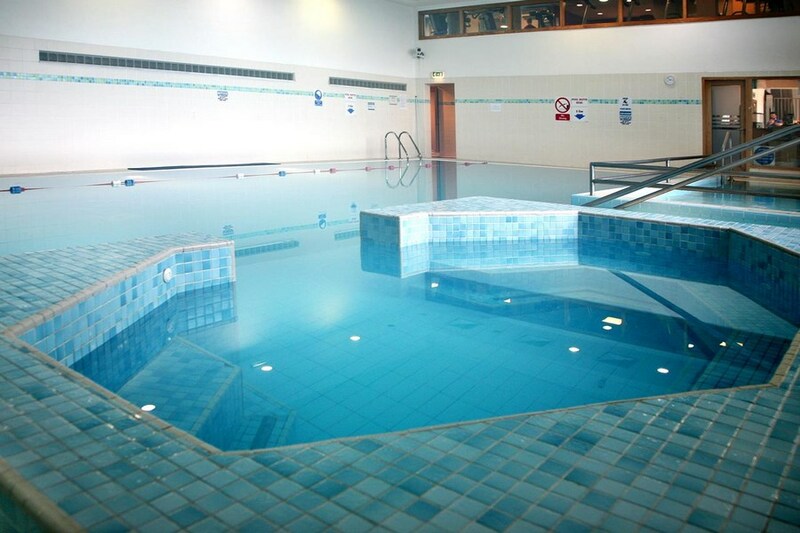 The use of the leisure club facilities was a huge benefit for the kids. The price was very reasonable for all that was offered. I would definitely stay again. Great value for money. This hotel is outside the City but a bus outside the Hotel takes you into the City and there is Liffey Valley shopping centre not too far away. Rooms are spacious and we had a good nights sleep. The staff are friendly and helpful especially Stephen in reception. We had a very nice evening meal in the restaurant. Breakfast was ok not mad about buffet breakfast but this is served in most hotels. Lots of fruit choices which was good. Was nice stay. Rooms nice and clean. Beds very comfortable. Staff very friendly. Bit out from town. The only fault I would have was with the dinner we had. The service was I bit mixed up. We were party of 4 people and we recieved two starters and was about 15 mins before the other two starters came. And they were missing the side salad to go with the garlic mushrooms. Also the soup had burnt taste and we had to ask for the bread to go with it. Then we had to ask for the butter to go with the bread!!. Was very unorganised.also a very limited menu. But to spite that we did enjoy our stay and most of the food was quite tasty. I would stay there again. I'd give them a second chance.!! Really enjoyed out stay. Very relaxed hotel. Clean rooms and nice staff. Excellent stay. Large spacious comfortable room. Dinner and breakfast v good. Enjoyed indoor pool. Will stay again. Excellent hotel. Great location. Very friendly staff and my little girl loved the pool. What more could you want. Nice Hotel, Food Excellent(Special Mention to the Chief), Location excellent for Tayto park\Ikea. The hotel staff were excellent. The food was top class. Hope to stay dthere again soon. I stayed here with a big group. we booked 6 rooms in total The hotel its self is really nice. We did get very lost getting to the hotel so its a good idea to have a really good map or decent sat nav On arrival booking in was very easy. We were advised that childrens meals were not covered on the rate we had booked. Previously in another hotel the childrens meals had been covered so that did throw us to start with. We were also not told how dinner worked. We were given cards to hand in for the adults meals. The only thing was with our group that we all ate at different times on some of the evenings and so it got complicated occasionally. We didn't no if we had to order from the menu or could use the buffet service. We were never offered puddings and had to ask for them every evening and were never offered tea or coffee either. Then on the 1 evening i did ask we were told we had to pay. The meals are very reasonable if you do have to pay and there is also a very good choice The staff in the dinner area never knew what was going on. When we asked what the puddings were they always had to go back to the kitchen to ask then took another 20 mins to come back and tell us. On the 1 night we had tea and coffee the member of staff bought 2 lots of tea, then went back for milk, then ent back for sugar and then went back for tea spoons.... The staff on reception were really nice and the night staff were all lovely we just found that some of the dinning room staff a bit abrupt. When i mentioned that the group would like to go back next year i was told we would have to be more organised and even after mentioning that we were never once told how dinner worked i was ignored. The swimming pool is lovely. The rooms fine and bed very comfy I think were were unlucky with locks on the rooms as ours broke , we had to move rooms and then 1 of the children got locked in the toilet . Fortunately the night manager was able to break it and let the child out. Over all we we found the hotel really nice and would like to return next year. For our group it fitted great with what we needed. I stayed in this hotel recently in Dublin and it was only ok. The hotel is easy to find as it is a straight run after leaving the motorway. However, when we got there the card we were given would not work on the door and that took awhile to sort out. Then the remote for the television wasn't working. There was lots of tea making facilities but no kettle which I could not understand. The final negative: the bed wasnt very comfortable with very flat pillows which me and my partner had to fold in half to sleep on. The positive side: it was only 37 euro each with breakfast included which was a lovely buffet and had gym, pool and free parking. I don't know if I was expecting too much for such a cheap price but I wouldn't be staying here again. We really enjoyed our stay in the Green Isle Hotel. The room was very spacious and clean with a very comfortable bed. We had dinner as part of the package and the menu choices were lovely . The food was delicious. Breakfast was also very good. The swimming pool is a great facility and myself and my toddler had it to ourselves. My husband was very impressed with the stay and he is very picky about horels! Can't wait to go back. Nice modern hotel, staff very friendly, food so tasty, all day carvery a great idea and economical for families. Unfortunately our room on third floor was very warm and because our family room was facing the motor way we could not open windows due to noise. Also air conditioning only allowed room to stay at temp of 20 degrees which was very uncomfortable at night time. Staff member did supply 2 fans to use. Our children could not get a good nights sleep. Also the swimming pool area very warm and uncomfortable to deal with changing etc. Staff really friendly, always had a smile. Food in the carvery was excellent and the fact that there was also panini, salad, sandwich, pizza options was great. Kids loved the pool. Understand hotel is going through refurbishment of its rooms, our room had a double bed and two singles which suited us perfectly, room was obviously not refurbished as the bedside lights were on a different wall to the actual bed but this was compensated for with extra lighting in the room that we could place where we wanted. Location of the hotel was perfect for easy access to the M50 and the fact that there is a little shop onsite is a bonus. Really enjoyed our stay and will definitely be back. Great friendly staff which is the hotel's best asset ! Room spacious & clean, perfect for families ! Our 2nd time staying, this time for 3 nights BB&1D. Both rooms were clean, bright & spacious. Food was superb. Staff were very helpful & professional. Ideal location for visiting Dublin & surrounds. Our son was on an antibiotic during our stay & the staff kept it in the fridge for us. Only slight negative was we could do with somewhere besides the dressing table to put our suitcases in the rooms. Again a very enjoyable & comfortable stay - we will be back. Very nice hotel, welcoming staff. Will return again. We were very disappointed with this hotel, we had stayed a couple of years ago and it was very nice and clean but things have been let go downhill a lot since then. When we arrived we were given room 343 when we went through the doors to get to this room there was a very bad smell of deep fried food, we went into our room and the smell was worse, the bed was broke and it was filthy dirty with food or drink spilt around the wood base, some of the doors were missing handles, there was a huge water stain on the ceiling, the bathroom floor hadn't been cleaned and there was half empty bottle of the hotels shampoo left in the bathroom, we asked to be moved. We were moved to room 315 which was a family room which only divided us by a door, we could hear the people next door breathing nearly, our tv the screen had been smashed , we had two torn towels left in our bathroom and the people continuously smoked in the room next door . some of the staff weren't very friendly especially the chefs and I think they need to go on customer based courses and attention to detail courses. Very convenient location, room require a little updating but leisure facilities were good and the food was amazing. WE REALLY ENJOYED OUR STAY.VERY GOOD FOOD.THE STAFF WAS VERY HELPFUL AND THE ROOMS VERY CLEAN.MY TWO GIRLS REALLY ENJOYED THE POOL.I WOULD GLADLY RECOMMEND THE HOTEL TO ANY OF MY FRIENDS. Hi had a great stay in the green isle. Very big family room,Fixtures and fittings a bit dated.Had a two night stay with evening meal.We ate in the restaurant and the food was fantastic.The service in the restaurant and at reception were excellent.The staff were very friendly and would highly reccomend. Excellent value , friendly service, very clean , good breakfast & very robust dinner ( lots of it). Its not fine dining but you get what you pay for. Excellent wi fi & all free. hi our stay in the hotel was not a good one and it would take something special for us to go back again, there seem to be no organisition very little staff on or if so they did not seem to know wher they were to be working, examples, when people got there dinner and they got to the checkout ther was no one ther to pay, so by the time someone came along your dinner was cold we ordered tea and sandweges 3 different people cam to to see what we wanted even do we had ordered, the only area that i can praise was the reception area they could not do enough to help out and they were very mannerly. Hotel staff couldnt be nicer. No complaints about our stay.